Adara brings the case against her friend, Bobby. They host a radio show together and Bobby likes to do fake celebrity phone calls on air. Adara thinks that while it’s sometimes funny, it’s not always successful. She would like him to limit his fake calls. Who's right? Who's wrong? PLEASE NOTE: This episode makes a brief, glancing reference to the Predator movies. It was recorded weeks before recent news emerged about the problematic personnel decisions that took place in the production of newest Predator sequel. Thank you to Adam Labonte for naming this week's case! To suggest a title for a future episode, like Judge John Hodgman on Facebook. We regularly put out a call for submissions. 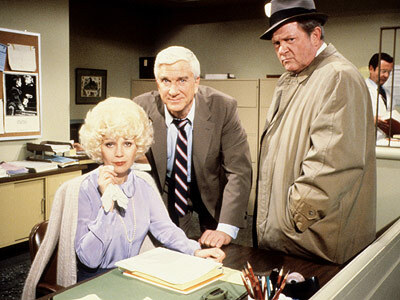 This week, the AV Club’s Assistant TV Editor, Erik Adams, shares his affection for Police Squad!, the Zucker-Abrahams-Zucker classic with Leslie Nielsen. His colleague Claire Zulkey recommends Law & Order. 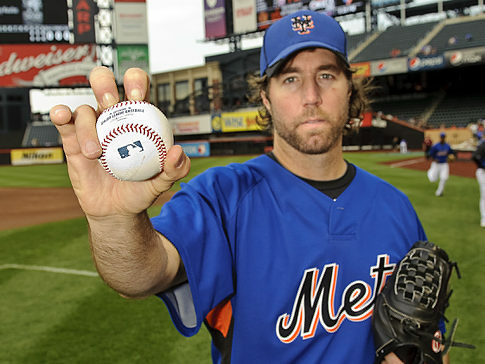 R.A. Dickey is a pitcher for the New York Mets, and the only man in the majors currently throwing a knuckleball. His new memoir, Wherever I Wind Up: My Quest For Truth, Authenticity and the Perfect Knuckleball, is a story of perseverance more than anything. He had a difficult childhood marked by abuse and poverty, but found his gift in baseball. Early on in his career, the Texas Rangers offered Dickey a lucrative contract but retracted it when they discovered a physical abnormality that theoretically should have kept him from playing ball. Dickey then bounced back and forth between the major and minor leagues and says he floundered, personally and professionally. But he stuck with it, and worked on mastering the wildly unpredictable knuckleball pitch (and finally found stability and peace in his relationships with his family and friends). Now, at age 37 Dickey is just hitting the prime of his career while many players of his age have long since retired. If anything, the knuckleball means his best days may still be ahead of him. R.A. sits down with us to discuss his search for peace from a troubled past, the art of throwing the perfect knuckleball, and exactly why he names his bats after fantasy swords. Wherever I Wind Up is available in bookstores now. This interview originally aired May 22, 2012. To say Jim Coyle and Mal Sharpe were ahead of their time would be putting it mildly. The duo produced hundreds of man-on-the-street interviews in San Francisco during the mid-1960s, always claiming to be something they weren't, all in the name of comedy. Their efforts would go mostly unappreciated for decades, though the dedication of Mal's daughter Jennifer would ensure their work would eventually find an audience. In this classic clip, the pair try to convince a Navy serviceman to rob a bank for them. You can hear more from Coyle & Sharpe right here on MaximumFun.org, where their archives have been converted to The Coyle & Sharpe Podcast. This segment originally aired May 22, 2012. On the Outshot this week, Jesse makes the rather unconventional move of recommending a radio show that isn't this one -- but you'll want to check it out all the same. It's The Best Show on WFMU, the music show turned character-based comedy call-in program whose cryptic host Tom Scharpling can satirize the role of the radio host while perfecting it in the same breath. This segment originally aired May 22, 2012. Is there a show on the radio that you consider appointment listening? We want to hear it, so let us know on the MaxFun Forum by picking your own Outshot. 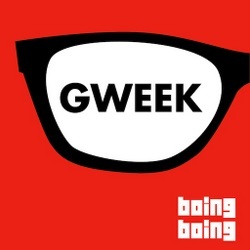 This week's culture recommendations come to us care of Mark Frauenfelder of Boing Boing and the Gweek podcast, who joins us to share a pair of his top picks: The Dictionary of Modern Proverbs, as compiled by Charles Doyle, and the music video production iPhone app Video Star. R.A. sits down with us to discuss his search for peace from a troubled past, the art of throwing the perfect knuckleball, and exactly why he names his bats after fantasy swords. Wherever I Wind Up is now available in bookstores now. In this classic clip, the pair try to convince a Navy serviceman to rob a bank for them. You can hear more from Coyle & Sharpe right here on MaximumFun.org, where their archives have been converted to The Coyle & Sharpe Podcast. On the Outshot this week, Jesse makes the rather unconventional move of recommending a radio show that isn't this one -- but you'll want to check it out all the same. 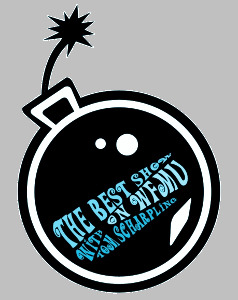 It's The Best Show on WFMU, the music show turned character-based comedy call-in program whose cryptic host Tom Scharpling can satirize the role of the radio host while perfecting it in the same breath.